Wednesday Wrap: BBC Three goes online, Tidal gets Yeezy boost, new Philips headphones | What Hi-Fi? This week BBC Three makes the jump from TV to online-only, Kanye West gives Tidal an exclusive on his new album, and Philips launches a new pair of wireless, noise cancelling headphones – it's What Hi-Fi? 's Wednesday Wrap. 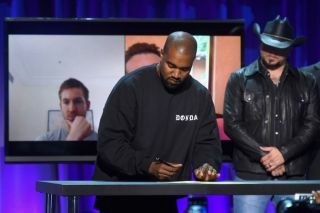 Tidal has been making waves in the music streaming arena this week, all thanks to the self-declared “greatest living rock star on the planet”, Kanye West. The ever shy and retiring Mr. West released his new album The Life of Pablo on Monday as a Tidal streaming exclusive (he has a minor stake in the service). The release - and some bizarre social media posts - helped Tidal shoot straight to the top of the Apple App Store in the US (for free apps). West has since announced the album will only be available on the streaming service, and won’t be made available for purchase from iTunes or to stream on Spotify or Apple Music. You can’t currently buy a physical copy of the album either. Inevitably, not everyone wants to play ball. According to Torrentfreak, The Life of Pablo has already amassed in excess of 500,000 illegal downloads... Nevertheless, it's no doubt a welcome boost to Tidal's profile and a further sign of the importance of key releases and content exclusives in the ongoing battle for music (and video) streaming supremacy. The BBC had previously announced that its youth-orientated BBC Three channel would move to an online-only format and as of Tuesday 16th February, that’s now the case. The BBC Trust approved of the move, citing “independent evidence [that] shows younger audiences are watching more online and watching less linear TV”. BBC director general, Tony Hall, says the move will save the corporation £30 million. The new online channel will have box sets of original BBC programming available to watch on-demand via the BBC website and iPlayer. A daily stream of content including short films, blogs and news and sports updates will also be made available as well, with other content being delivered via YouTube and on social media. Philips has launched a new pair of wireless, noise-cancelling headphones for £130. The company has settled on the rather long model name of SHB9850NC, but fortunately the feature list is shorter and simpler: Bluetooth 4.0 and 40mm neodymium drivers. Philips says they’re able to deliver “up to 99 percent active noise-cancellation”.